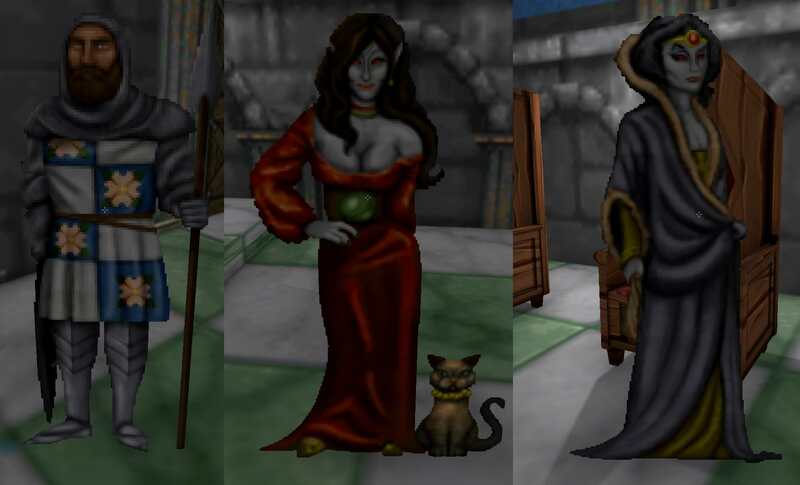 Oh you know what, I'm using the unofficial patches for Daggerfall (for instance, the Dunmerized skin on the Wayrest royal family) - I wonder if one of those edits was to put the crest on the local guards? 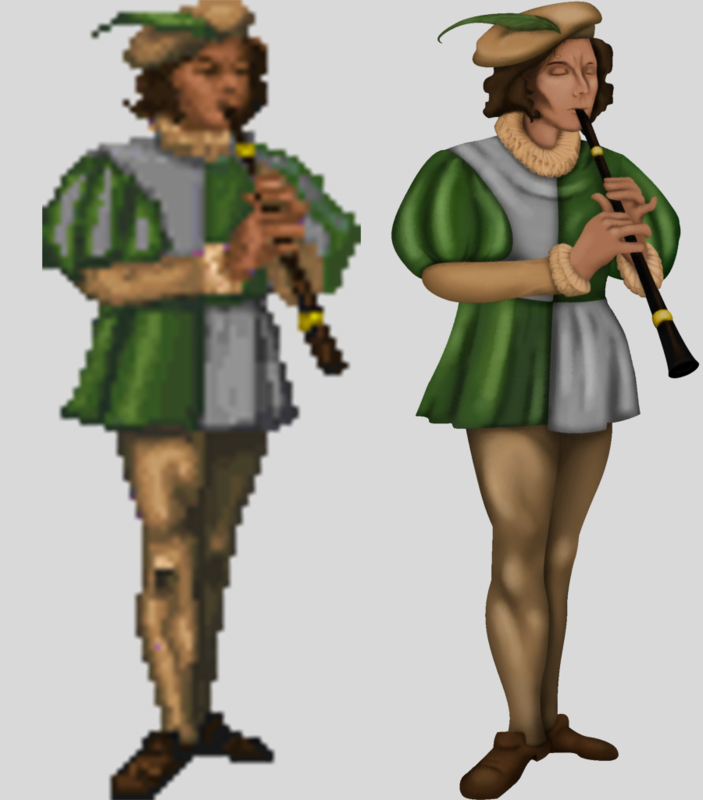 EDIT: I stumbled upon a neat pixelize shader in GIMP - would people be interested in a more retro version of the sprites as well? 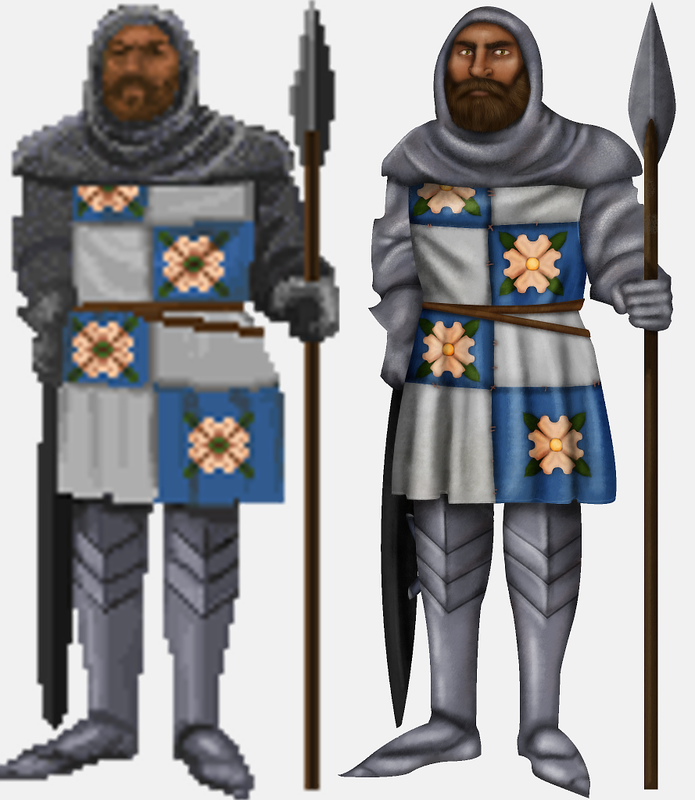 They still benefit from the detail work I painted in, but they blend a bit better with the sprites that haven't gotten a revamp yet. That must be it, because in a vanila game, there is no wayrest crest on that guard Thanks for clarification. Gonna try to get a few more of the Wayrest flats finished before I upload. 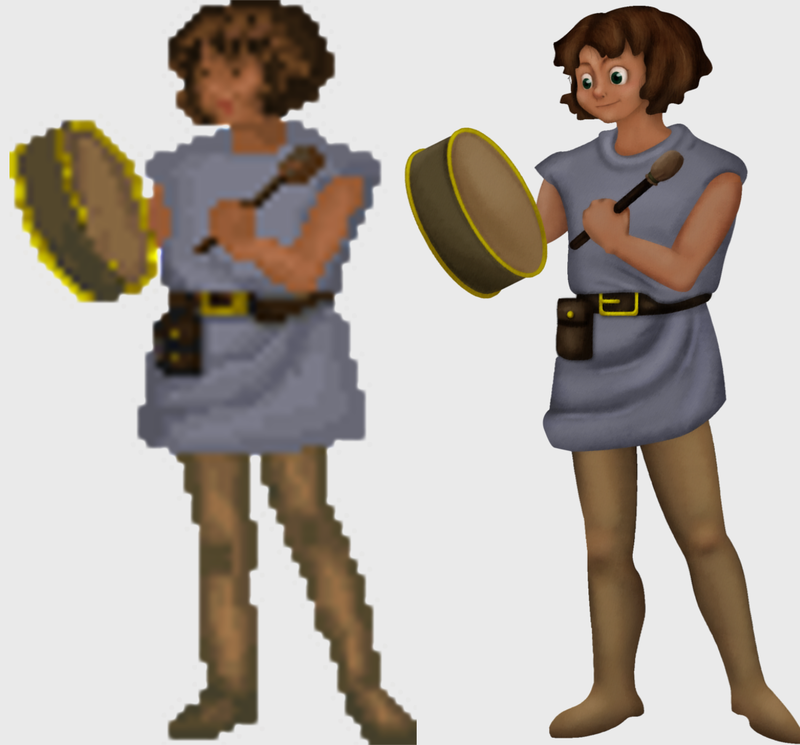 I was never very happy with this sprite from the Wayrest set and thought the details below the head were really sloppy. So now that I know a little bit more about what I'm doing, I decided to take another crack at it. Don't forget not to stick with the pixel-limited borders. I mean, you don't always - the spear head is good, for example - but the shapes of the arms are very strange. I'm a bit rusty so it's not 100% where I want it to be but it's a pretty good start. Eadwyre is ready to join his lovely wife in glorious HD! 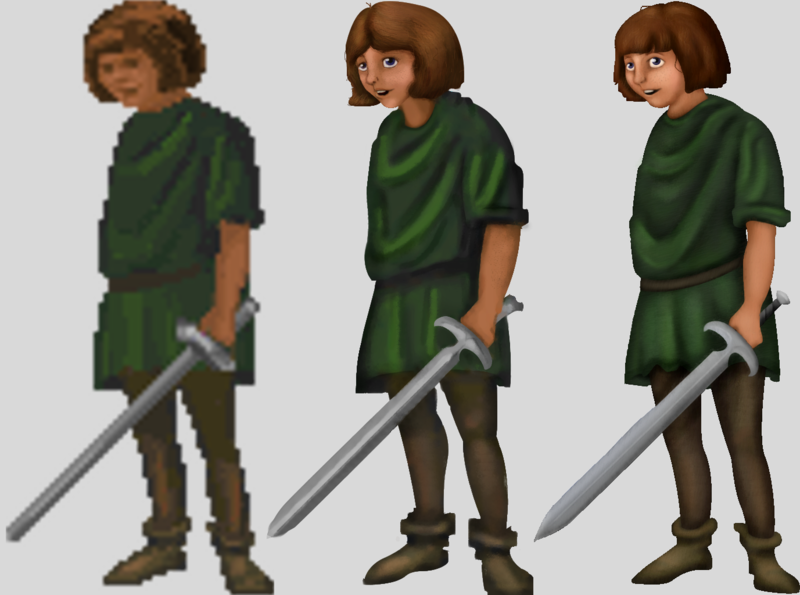 I'm still working on Helseth ATM, I'll upload this latest batch once he's complete. This is really amazing work! 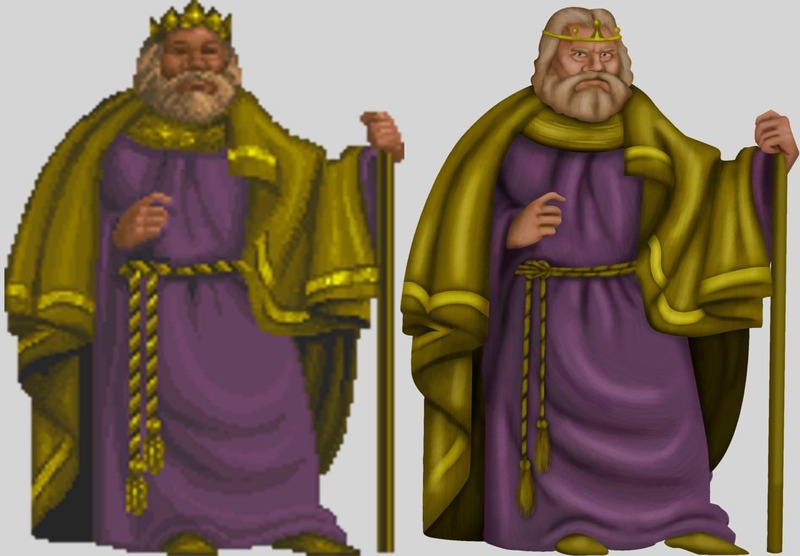 BTW, just let me know whenever you're ready for this to be moved into released mods.